The Trump administration will allow new offshore oil and gas drilling in nearly all United States waters, it announced Thursday. The plan would give the energy industry broad access to drilling rights in most parts of the outer continental shelf, including Pacific waters near California, Atlantic waters near Maine and the eastern Gulf of Mexico. The proposal lifts a ban on drilling, imposed by President Barack Obama in his final days in office, that protected more than 100 million offshore acres along the Arctic and Eastern Seaboard. Such a reversal deals a serious blow to Mr. Obama’s environmental legacy and signals that the Trump administration is nowhere near done unraveling the environmental restrictions of its predecessor in an effort to promote domestic energy production. The drilling plan comes on the heels of a separate proposal to repeal offshore drilling safety regulations that were put in place after the 2010 Deepwater Horizon oil rig disaster, as well as a decision by Congress to open the Arctic National Wildlife Refuge to oil and gas drilling. “I think the default should be that all of our offshore areas should be available,” said Thomas J. Pyle, president of the American Energy Alliance. He said seismic testing would be needed to assess potential oil and gas reserves in the Atlantic Ocean, though it could take years before potential testing permits are issued. The new plan will not immediately green-light drilling. Finalizing the plan could take as long as 18 months, experts said, and in the meantime a number of states, including some led by Republican governors, are expected to challenge it in an effort to protect their coastlines. Frank Knapp, president of the Business Alliance for Protecting the Coast, said hundreds of small East Coast businesses, from restaurants to hotels to commercial fishing operations, have mobilized against allowing drilling off their state waters. Of particular interest to oil companies — and concern to many Florida lawmakers — will be the Interior Department’s decision as part of the pan to open the eastern Gulf of Mexico, said Kevin Book, an energy consultant and managing director of ClearView Energy Partners. He noted the area is attractive to the energy industry because there is already a large amount of infrastructure in the region. “You can talk about the Atlantic all you want, but you’re 10 years, 15 years from production,” Mr. Book said. Still, he noted, while the move will be cheered by other states along the Gulf of Mexico like Texas and Louisiana, Florida politicians are bound to oppose the move. Early Thursday, Gov. Rick Scott of Florida, a Republican, vowed to protect his state’s coast from drilling. Environmentalists said they expected several states to fight the plan and denounced it as a giveaway to the oil and gas industries. Diane Hoskins, campaign director for the nonprofit group Oceana, called the blueprint “absolutely radical” and said the administration was also ignoring the opposition of the governors of New Jersey, Delaware, Maryland, Virginia, North Carolina, South Carolina, California, Oregon and Washington. Mr. Zinke said he planned to speak with Governor Scott and other state leaders as well as members of Congress and “voices of communities” before the plan is finalized. “It’s not going to be done overnight,” Mr. Zinke said. 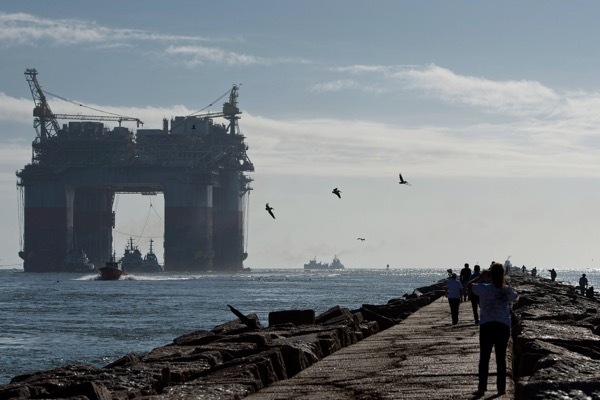 Mr. Book noted that drilling in much of the newly opened areas, if it takes place, would not begin for years and that other states would likely move to protect their coastlines as well. “By the time they get to the final plan, many of the things that were possibilities are going to be on the cutting room floor,” he said.